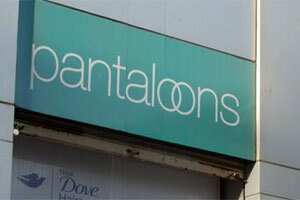 Mumbai: India’s largest listed retailer Pantaloons Retail India Ltd (PRIL) registered a consolidated net profit decline of 11% for the quarter-ending 30 September 2010, missing analyst expectations. The retailer recorded net profit of ₹ 23.18 crore as compared to ₹ 26.04 crore in the corresponding quarter last financial year. Revenue for the quarter increased by 15.6% to touch ₹ 3180.6 crore as compared to ₹ 2,750.76 crore in the corresponding quarter of the last year, the company informed the Bombay Stock Exchange on Thursday. Standalone net profit for PRIL’s retail business which includes the operations of Big Bazaar, Food Bazaar and the Pantaloon retail chain fared worse than the consolidated entity with a 29.3% decline to ₹ 12.43 crore. Revenues for the standalone company grew by 8.8% to ₹ 1.78.41 crore. “The growth is below our expectations and an initial look at the numbers show that all verticals have under performed," said Abhishek Ranganathan, equity analyst at MF Global Sify Securities India Pvt. Ltd, a Mumbai-based brokerage house. PRIL’s board approved the redesignation of Rakesh Biyani, as joint managing director of the company with immediate effect. Biyani was the chief executive earlier. The Board also passed the resolution for reclassification of the authorised share capital and alteration of the capital clause in the Memorandum of Association and amendment of Articles in Article of Association, it told BSE. In October, PRIL board had approved a plan to raise up to ₹ 1,500 crore by diluting up to 15% equity. For the July-September quarter, Shoppers Stop lost 23.01%,PRIL lost 35.59% which was much steeper than the key benchmark index’s loss of 12.69%. On Wednesday, PRIL dropped 3.34% to close at ₹ 186.65 and the Sensex lost 1.18% to close at 17362.1 points.